Fresh, Simple, Italian. 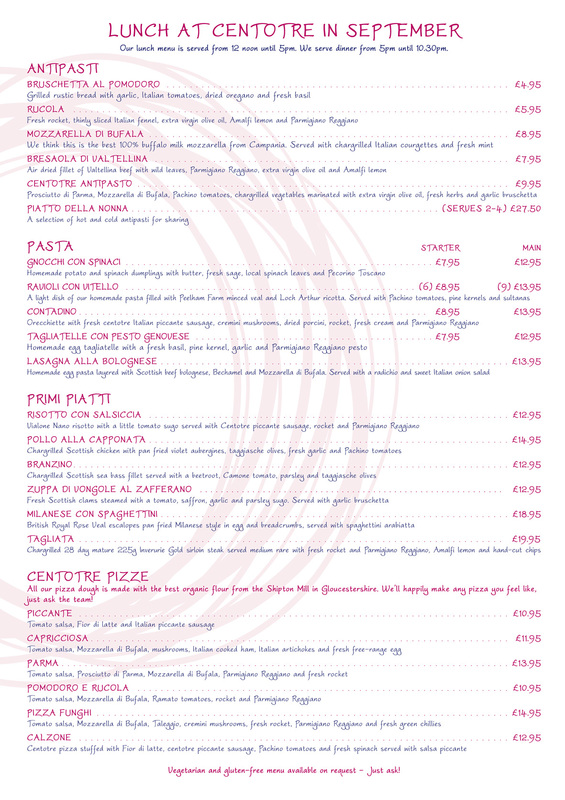 The very best ingredients simply prepared, served fresh and best enjoyed with family and friends. We take fresh local ingredients from our Scottish larder and add authentic Italian flavours delivered direct from the Milano markets weekly, exclusively for us. From Scotland this month we’ve sourced new season wood pigeon from Burnside Farm in the Tweed Valley, near Kelso. Burnside is family run farm which has been in the Rutherford family since the 12th century! We’re proud to support a wide range of Scottish suppliers, including Peelham Farm in Foulden for our organic veal, Inverurie Gold for our sirloin steak and Carroll’s Heritage in The Borders for our potatoes. From Italy we receive pallets of our fresh vegetables, several varieties of tomatoes, Mozzarella di Bufala and Burrata. Our Mozzarella di Bufala comes direct from Mondragone in Campagna, it’s made on a Thursday, delivered to Milan on the Friday and is with us on the Monday. You can’t get any fresher than this. 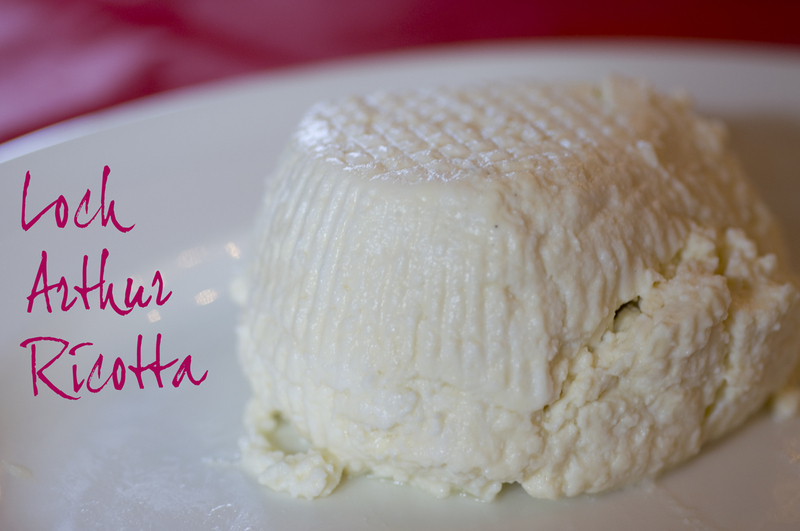 Our Burrata comes on the same route direct from Lecce in Puglia. Buying direct from both our Scottish and Italian suppliers means we cut out the middle men and the warehouses, and ensures we serve only the freshest produce. It’s also a guaranteed investment in the farms and in their people. 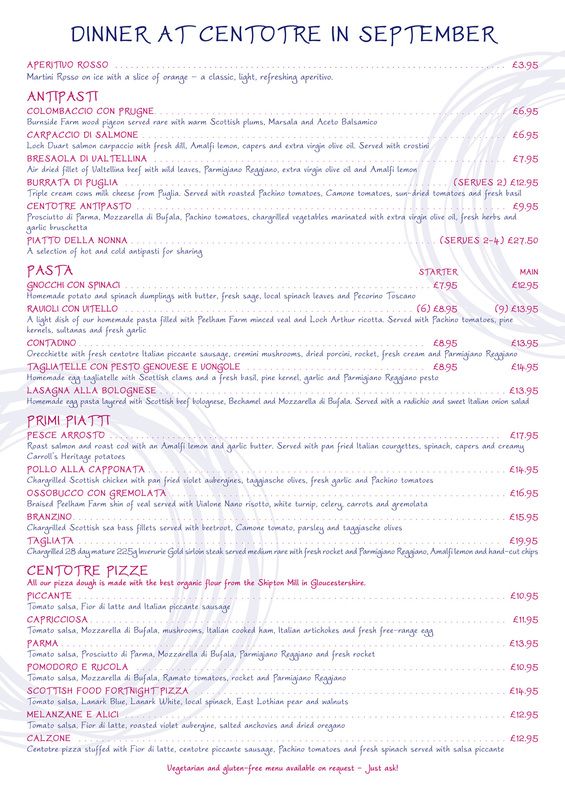 These choices are key and have always been at the heart of our love of good food. We hope you can taste all the hard work, enthusiasm and commitment invested in all our lovely food. Buon appetito! Good Farming = Good Food = Good Eating! 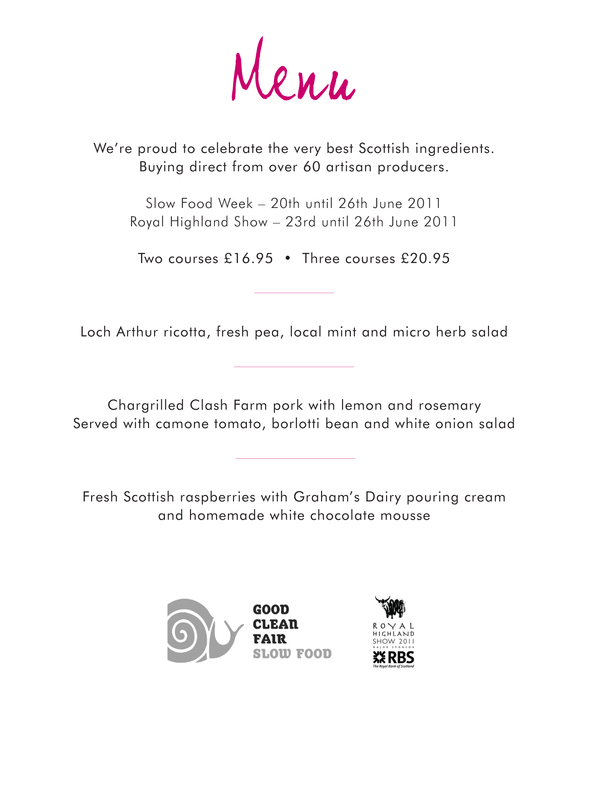 The first ever National Slow Food Week starts today and we’re delighted to be taking part! 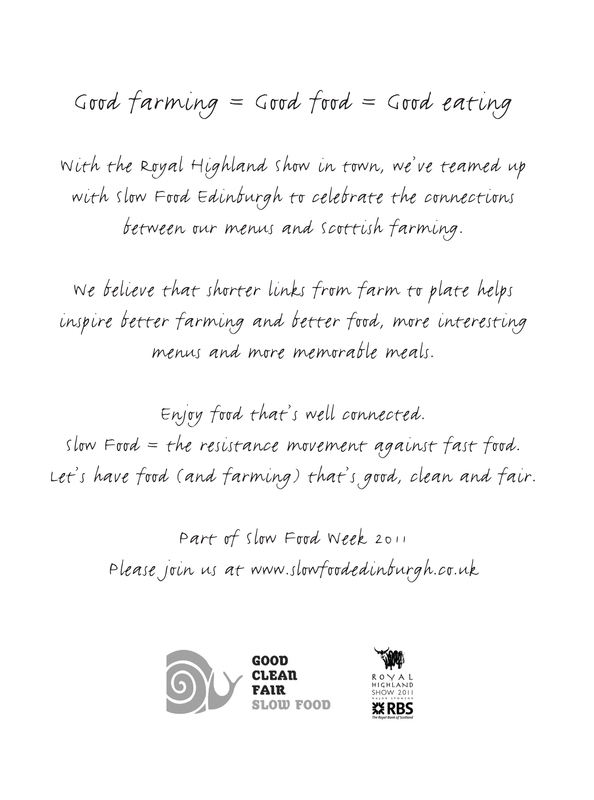 With the Royal Highland Show taking place at Ingliston between June 23 and June 26, Slow Food Edinburgh is encouraging restaurants that value their connections to Scottish farmers to celebrate those links while the show is on with special dinners, menus or tastings. 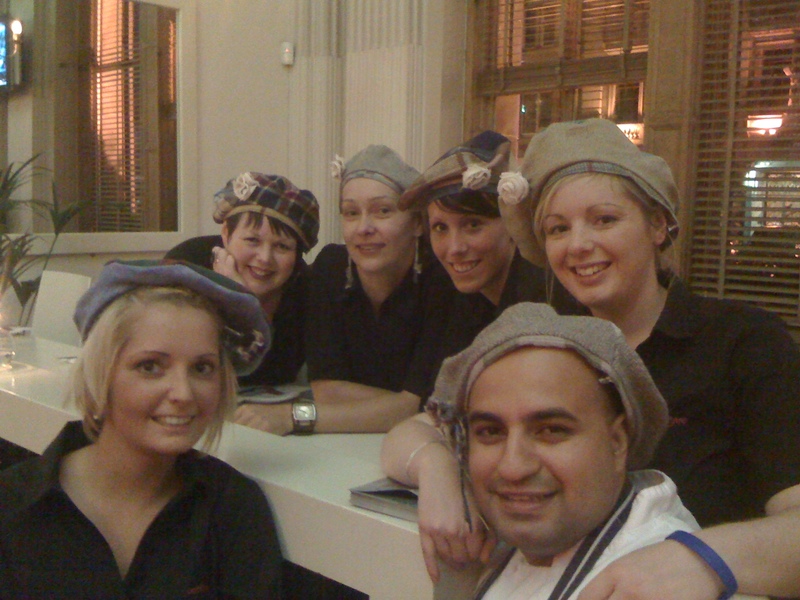 Scotland’s largest agricultural event should be a great excuse to remind diners and visitors that shorter links from farm to plate helps inspire better farming and better food, more interesting menus and more memorable meals. Enjoy food that’s well connected. Slow Food = the resistance movement against fast food. Let’s have food (and farming) that’s good, clean and fair. We’d like to wish you all the very best of luck! 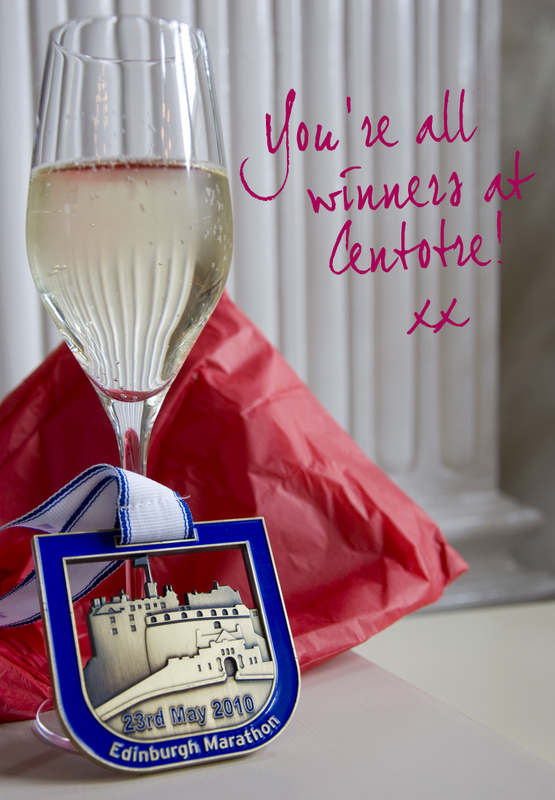 Everyone’s a winner in our book and to celebrate we’d like to treat all you inspiring runners to a post-marathon glass of prosecco when dine with us on Sunday 22nd May. 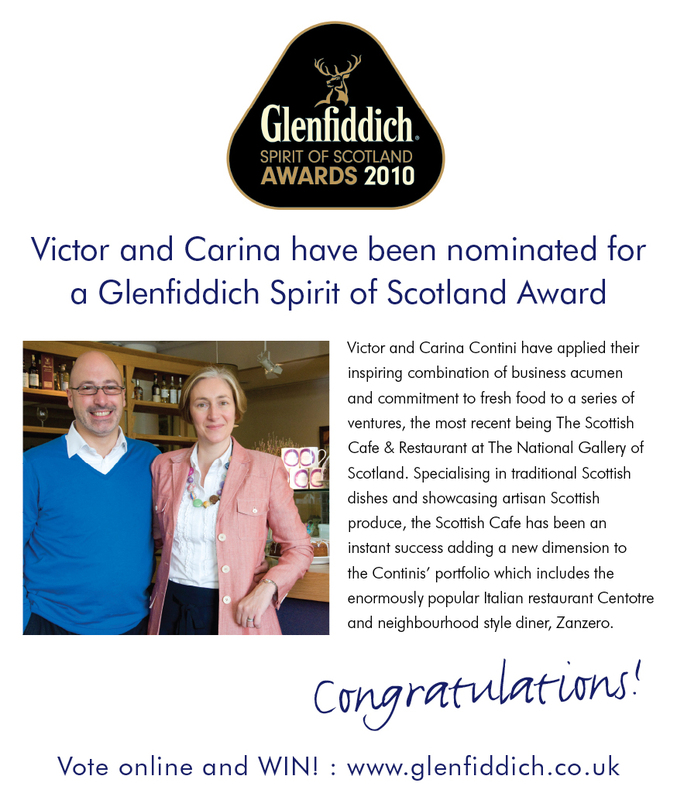 Come into centotre and show us your 2011 medal to receive your glass – see you there! !